There are huge time and cost savings for those property owners who are prepared to pay a little more into their home loan each month. Home buyers and property investors who have resisted the temptation to go for the lowest possible mortgage bond payments, while these payments are currently so low, have been pleasantly surprised to find how beneficial this decision has been in improving their bond accounts, says Bill Rawson, Chairman of the Rawson Property Group – and he adds that he has done this on his own portfolio, with highly satisfactory results. 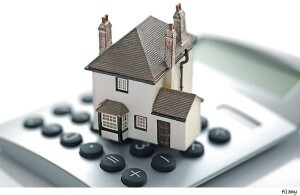 An example given recently by Mike van Alphen, National Manager of Rawson Finance, the bond origination division, has shown that if a bond holder who had taken out an R800 000, 20-year fluctuating bond at the prevailing mortgage rate of 15.5% in 2008 and had maintained his payments at the original levels, he would have accumulated an extra R140 000 in capital and would have reduced his payment period by 24 months in just under four years. If he continued to maintain his payments at this level, says Rawson, he would actually pay off his entire bond in nine years. Bond holders should try to arrange matters with their banks so that they can treat their mortgage bond as their bank account, says Rawson. “This means that whenever they get any extra cash, for example, a Christmas or performance bonus, this extra sum should be paid into their bond account. When the time does come to wrap up the bond, says Rawson, bond holders should ensure that they do not incur the usual penalties levied on anyone who does this without giving three months’ notice. Rawson also warned that those who close a bond account today may find that under the new National Credit Act they no longer qualify for a new, possibly larger bond, even though they can put down a fairly big deposit. When asked how long he expects the current low 8.5% prime rate to remain intact, Rawson said that the poor growth rate in the economy calls for the rate to be maintained as low as possible. However, Rawson says that the inflation rate is heading upwards and, if and when it stays above 6%, this will probably make it essential to raise the interest rate. He believes this is likely to happen by 2015.